During the last couple of weeks, I was totally flat out and have not got chances to update you with some of my recent finds. Food is always appreciative when it comes to great taste, no matter where it came from. Although we are trying to enjoy everything as local as possible, sometimes we have to see what’s out there in other states of Australia. None of the products included in this post are South Australian made but they still show how good Aussie produce are. 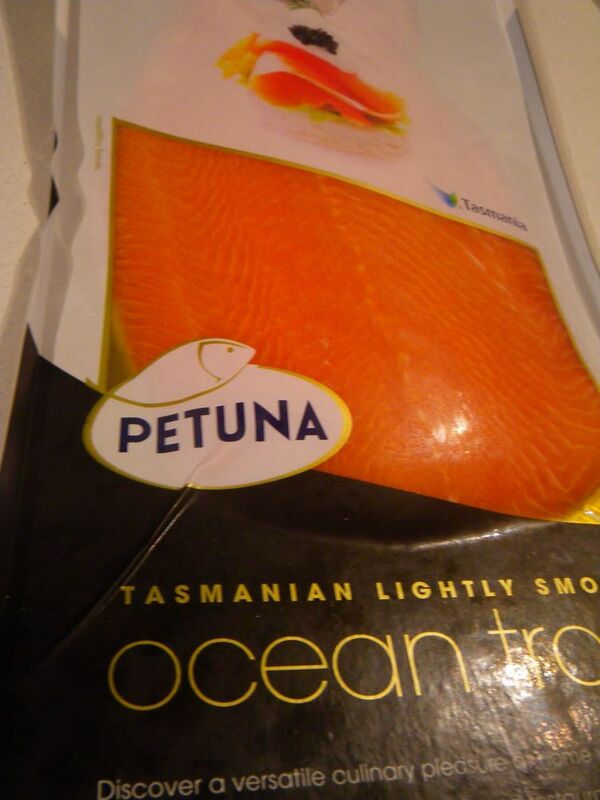 Petuna Aquaculture is a Tasmania based company speicalising in smoked ocean trout. I came across their trout last year and since then, fall in love with the product. You may recall that I used to be fancy about Huno smoked salmon (I still do), but trout has a distinctive flavour. 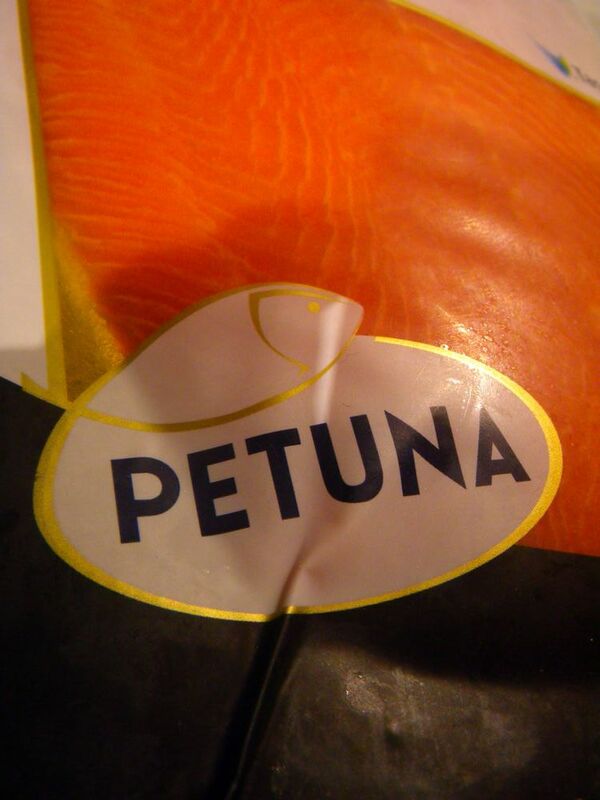 Petuna was established in the 1990s and the owners Peter and Una were recognised with Order of Australia medal for their contribution in Australian salmon and trout aquaculture industry. Flavour-wise, the flesh of the trout was very soft while still kept its tenderness. The intense orange/pink colored flesh was flavourful and delicious and can be enjoyed on its own or by serving with chives and sour cream. There are many ways to consume the smoked fish but I only used them as it is in my breakfast. The secret and in fact the most distinctive flavour difference was that the fillet has a flavour close to fermented/salt cured duck egg yolk. Or to make it clearer, it’s creamy, slightly salty with hints of fermentation flavours and plenty of pure seafood tastes. A small touch of smokiness can be experience while chewing the fish, which made it even more delicate. This is quite different from any other smoked salmon/trout I’ve experienced. The marbling of the fish was great too. Did I mention Tetyusa used Petuna trout for nearly 20 years in his signature dish? The flavours of the product made me seriously spreading words to everyone I know and definitely I would recommend all my readers to taste-test the product themselves to experience the aquaculture product from Tasmania. 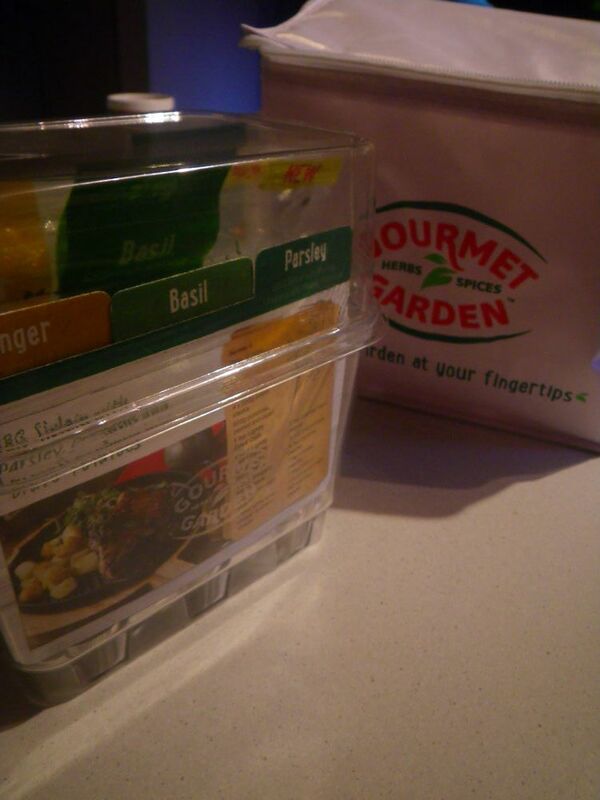 Gourmet Garden has launched their new innovative herbs, the semi dried herbs. They send me a small box (4 samples) of the herbs to try three weeks ago, but because Tina’s finger was cut through, we didn’t get a chance to use them until early this week. As expected, the outcome was impressive. I think every household may come across a problem that has frustrated me for years. Whenever you buy fresh herbs such as coriander and spring onion, they would only last a week or so and then they would go bad. To solve this problem, I tried numerous methods and replacements. Obviously, frying the herbs and soaking them in olive oil can help to maintain the flavour of the herbs but I ended up with bottles of spring onion oil, coriander oil and even ginger olive oil. I also tried using dried herbs but they did not satisfy on the flavour side as well. 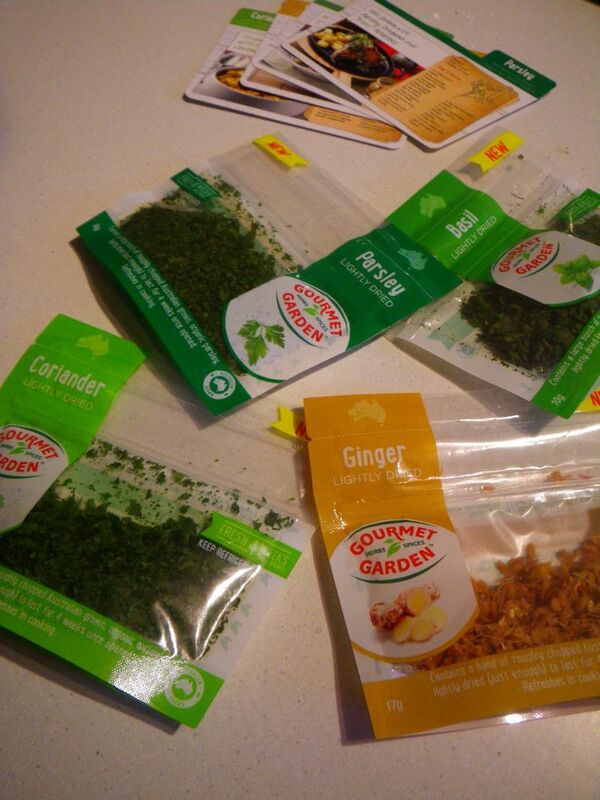 When these semi-dried herbs arrived, they caused some excitements. The herbs looked similar to fresh ones but shrank a bit compared to fresh herbs. On the taste side, these semi-dried retained all identifying flavours of the parsley, coriander, ginger and basil to a greater level. Because everything is now very concentrated, only small amounts of the products are required to make the same standard food that we used to make and the flavours were great as any water contents can diffuse out of the herb, making the dish extra tasty. The other good thing about the semi-dried herbs are that they can stay longer in the fridge. Normally, fresh herbs go bad within a week or so. These semi-dried herbs can remain in the fridge for about 4 weeks with no degradation occurring. This is mainly because of the reduced water contents within the herbs and hence they would not have attracted so much bacteria for growth. Thinking of green tea? Then you are covered by these products. 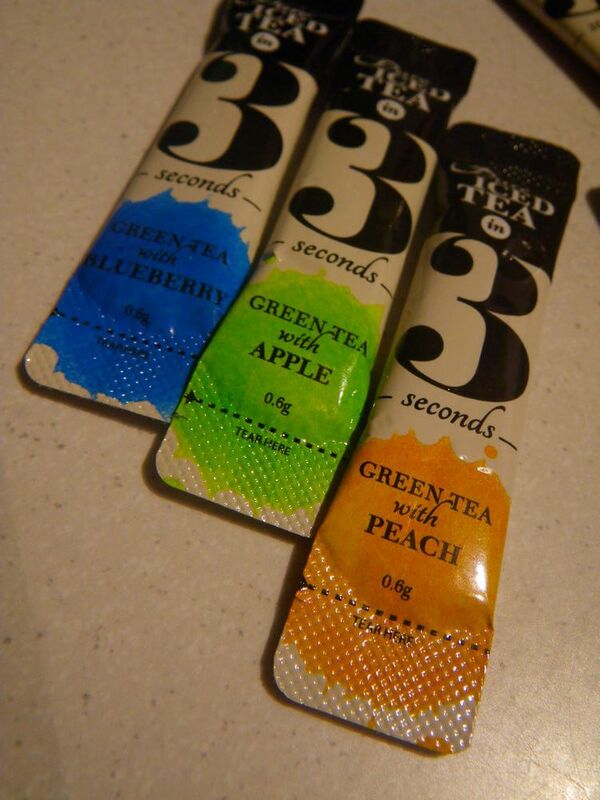 Iced tea in 3 seconds is a recently established brand focusing on making tea drinking easy. Some people may be concerned with its actual composition and many other people may still prefer herbal tea. 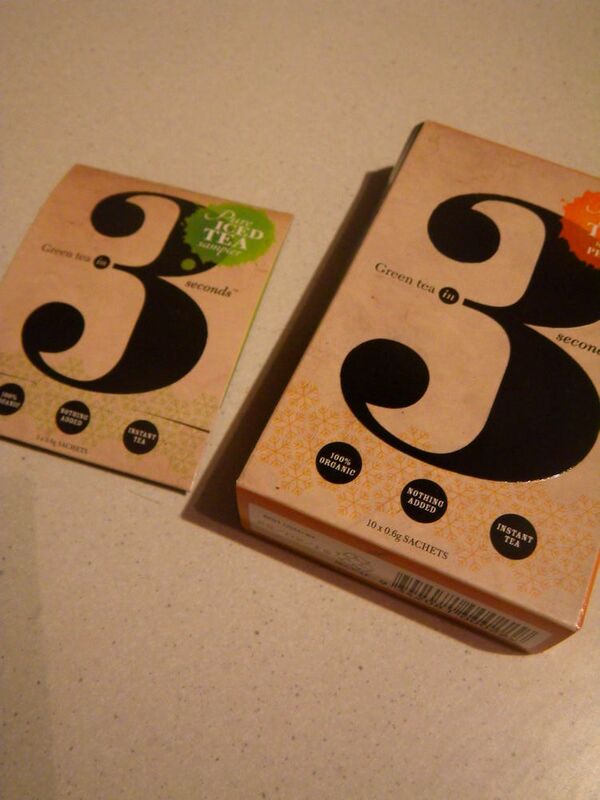 The active ingredients in these products are tea extract powders as well as non-artificial flavour essences. I found them useful because I talk quite a lot during classes and hence get quite a lot of sore throat problems. Sometimes drinking tea, especially hot ones, is not going to solve the problem but stimulating the damage in the throat. However, by putting one small bag in a cup and adding cold spring water to it can make a beautiful flavoured iced tea, which is exactly what I wanted during a teaching session. The tea is very easy to make and only takes several seconds for the powder to dissolve in the water. 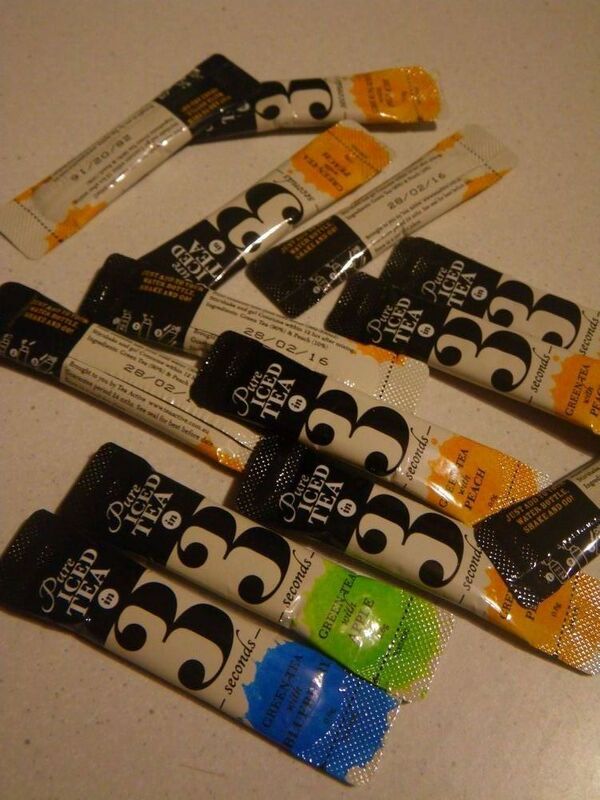 There are three flavours blended into the sachet, including blueberry, apple and peach flavours. No sugar is added to the sachet. Last but not least, guys, please accept my apologies for not publishing anything for almost two weeks. More posts are coming your way during the next week. How’s going? I haven’t read your post for almost two weeks. Thought you dropped out or something. Great write up and good smoked trout to be featured. We had this product at mother’s day lunch at my daughter’s place and it was amazing. I am still here. Just got way to busy with my students’ reports for marking and did not have much time to update here. All back to normal now. The semi dried herbs are fabulous. I used them from day one they were out in woollies. With sensational flavours, they can make some good Asian dishes too! Absolutely agree with your comment! They can be added to Chinese congee to make a sensational breakkie too. G’day! It is always nice to read a post from you Xin! Thanks Joanne for the continued support. I finally finished marking the first assignment. 😦 Still have another one to go.